We have always aimed for our development to go hand in hand with an active involvement in the wellbeing of the society in which we all live. Although our community-based and green actions are only a drop in the ocean, we are convinced that if all SMEs of our size were to make a small contribution, the world would be a better place. As a reforestation specialist in France and around the world, Reforest’Action enables companies to act locally for the environment by planting trees with their clients and collaborators. Thanks to this partnership put in place by SafeGreen – SafeBrands’ eco-responsible employee program, the company is committed to a CSR initiative to finance a reforestation project in France or around the world for a given period of time by sponsoring a forest. Reforest’Action has developed a range of professional gifts associated with planting a tree (1 gift purchased = 1 planted tree), SafeGreen has acquired more than 250 organic cotton bags in the colors of the eco-responsible program. This gift will be given to our customers and collaborators who will be invited to plant their tree in the SafeBrands forest and follow the evolution of the plot. An explanatory sheet in the bag will show you the procedure to follow. Energy use for our cold site and client servers. We hope that our involvement in this project will enable us to cancel out our ecological footprint, or at the very least contribute to the protection of our planet. It works on the basis that we pay Good Planet a fixed amount representing the carbon offset cost. This amount is approximately €7 per month for each server hosted by SafeBrands. All of our obsolete hardware and electronic waste is recovered and recycled as part of a pioneering process that combines integration into the workplace, assisting developing countries and recycling of materials. While working in an environment of machinery and technology, SafeBrands cares about the welfare of its employees! “Taking care of oneself before taking care of others”, the company strives to apply it by developing for some years its social responsibility. 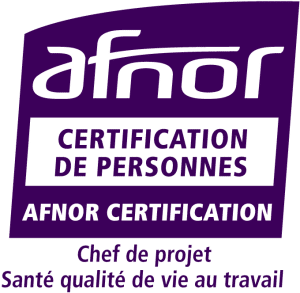 Since January 2017, SafeBrands has embarked on an approach to Health and Quality of Working Life ( in French, SQVT : Santé et Qualité de Vie au Travail) – through the Québec standard BNQ 9700-800 / 2008: prevention, promotion and organizational practices that can be made to health in the workplace. Through this approach, SafeBrands wants to go further than its legal obligations as an employer in terms of occupational safety and health. The company obviously already respects the formalism imposed by the law (presence of a single document of occupational risks, verification of fire extinguishers and electric installations of premises, planning of regular medical visits etc). The next step is to create a climate of well-being in everyday life and to evolve towards optimal health. SQVT is not intended to enter private lives. It is company orientated and its ambition is professional: to participate in the objectives of sound management and efficiency of the company, and to the optimal level of quality of service that we have to ensure to our customers. ‘Label Empl’itude’ is the first regional seal of approval for employment in France, and is awarded by a panel that represents the Pôle Emploi (job centre), UPE 13, PLIE, and the Communauté Urbaine Marseille Provence Métropole (Marseille-Provence Metropolis Urban Community). It recognizes companies’ good practice and progress towards employment and integration into the workplace. It currently awards this accolade to companies of all sizes and in all sectors within the Marseille urban area. Empl’itude promotes the contribution of entrepreneurs and networks of companies to supporting the integration process for people alienated from the workplace. With Empl’itude, companies can show that they are committed to boosting employment. Support and monitoring of employees within the company (training etc.). By signing the Global Compact, SafeBrands has joined a community of some 3300 companies of all nationalities in seeking solutions for a more humane and better accepted form of globalization. 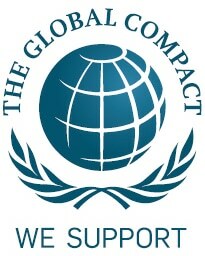 The Compact was developed by the United Nations and comprises ten universal principles. These principles campaign for a better respect of human rights, employment law, the environment and the fight against corruption in business practice. To promote globalization which benefits all based on the market economy. French companies are the most involved in this process: by the end of the year 450 French companies should have ratified the Compact. Since 30 August 2006, SafeBrands has joined the ranks of the companies committed to a fairer and more respectful globalization. Since its launch in October 2004, the Charte de la Diversité or Diversity Charter has encouraged companies to ensure that diversity is promoted and respected amongst their staff. The aim of the Diversity Charter adopted by our company is to confirm our commitment, in a French context, to cultural, ethnic and social diversity within our organisation. By signing it, SafeBrands agrees to fight all forms of discrimination and to implement an approach that supports diversity and pluralism, particularly in the areas of recruitment and career management. Such an approach is instrumental in the company’s progress and contributes to our efficiency and the quality of our social relations. From the end of 2010, we decided to dedicate our ‘end of year greetings’ budget to a cause that is close to our hearts. The funds that are usually used to give chocolates and send greetings cards have been donated to the Association Tournesol, Artistes à l’hôpital (artists at the hospital), which since 1990 has brought arts and culture to around 40 short and medium-stay hospitals (medicine, cancer centres, rehabilitation), to services for elderly people, psychiatric services and also desocialized persons (Samu social, CASH de Nanterre). Our clients have been informed of the project and it is well-supported. Founded by Father Emmett Johns “Pops” in 1988, “Dans la Rue” helps more than 1,000 Montreal young people (12 to 25 years old) by offering them several programs and services that facilitate their journey towards a more enriching and autonomous housing: food, emergency housing units, health care, education, employment opportunities, legal services, supervised apartments etc. « Dans la rue » services are essential for young people : they will help them stand apart to pursue their education or job search, break the cycle of insecurity and homelessness in our community and offer them hope for a better future. SafeBrands offers a personalized and high-quality service to thousands of clients in its two areas of expertise: comprehensive domain name portfolio management and added value hosting. ICANN-accredited and a signatory of the .eu Code of Conduct, we are an official registrar in more than 250 countries, and manage more than 400 extensions worldwide.